One of my favorite songs is Nara by Alt-J. I love the rhythm and the tune and the fact that it was recommended by a very special person makes it even more exceptional to me. The title is Nara but the word Nara itself appears only once at the very end of the song. I was curious about the meaning, which I had to google. It’s about gay marriage and a life without interference. It was written at the time of the Winter Olympics in Russia when homosexuality was a big topic for the Russian Government. The guy in the song wishes to be like a deer in Nara, left alone and being able to do what he wants. Deer in Nara? I had no clue what he meant until I started my research and saw it myself. 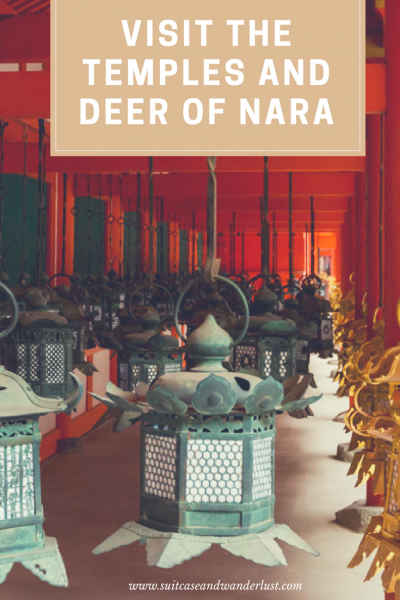 When I booked my flight to Japan I just had to include Nara in my itinerary and so I decided on a day trip from Kyoto. It is a 45-minute train ride from Kyoto to Nara with JR Nara Line Rapid Service for 710 Yen (one way) or included in the JR pass. Is it worth visiting Nara? Nara was the capital of Japan from 710 until 784 before it was moved to Kyoto and represents the roots of Japanese culture. It is rich with history and houses some of the oldest temples, collectively named Nanto Shichi Daiji. 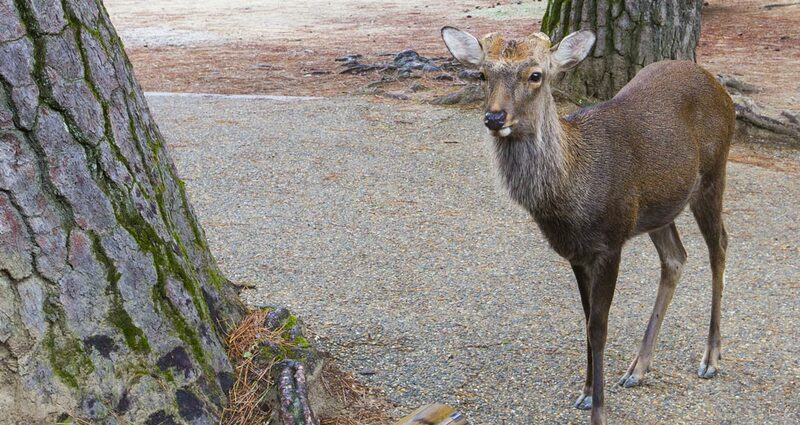 Apart from the vast number of temples, the other special feature of Nara is the deer. 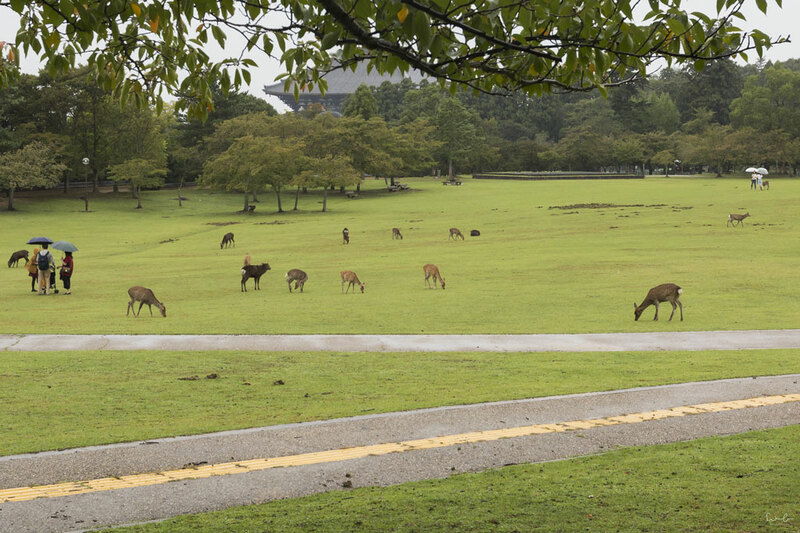 More than 1200 Sika deer wander through the town and the park. The legends say, that the god Tekemikazuchi arrived in Nara on a white deer to guard the city and since then, the animals have been regarded as heavenly. The deer are roaming freely, very trusting and you can even feed them or capture a selfie with Bambi. Apart from walking on the deer’s trails, there’s a lot to explore in the city of UNESCO World Heritage sites. I arrived in the morning and headed straight to Mount Wakakusa. The admission fee is 150 Yen for walking the whole panorama trail. It takes you about 20 minutes to reach the first vantage point from where you have an amazing view of Nara and its surroundings. After another 20 minutes walk, you reach the top of the mountain. Just when I arrived at the first plateau, it started to be pouring with rain and a very strong storm came up. Unfortunately, I had to walk back to town as my clothes were soaking wet. In case you plan your Japan journey for January, you may want to visit Nara on the 4th Saturday for the annual Wakakusa Yamayaki festival, where the grass on the hillside of the mountain is set on fire. The festival has been established a few hundred years ago and its origins are not confirmed. On the way to Mount Wakakusa, you pass the beautiful and famous Nara Park, the location of several temples, the Nara National Museum and deer. Japan’s second tallest five-story pagoda Kofukuji looms right at the entrance of the park. The admission to the temple grounds is free. Nara National Museum is an art museum with permanent and temporary exhibitions of Japanese Buddhist art. The building with its two wings overlooks Nara Park. Admission fee: 520 Yen. The most celebrated shrine and one of the most important attractions in Nara is Kasuga-Taisha with its 3000 lanterns. 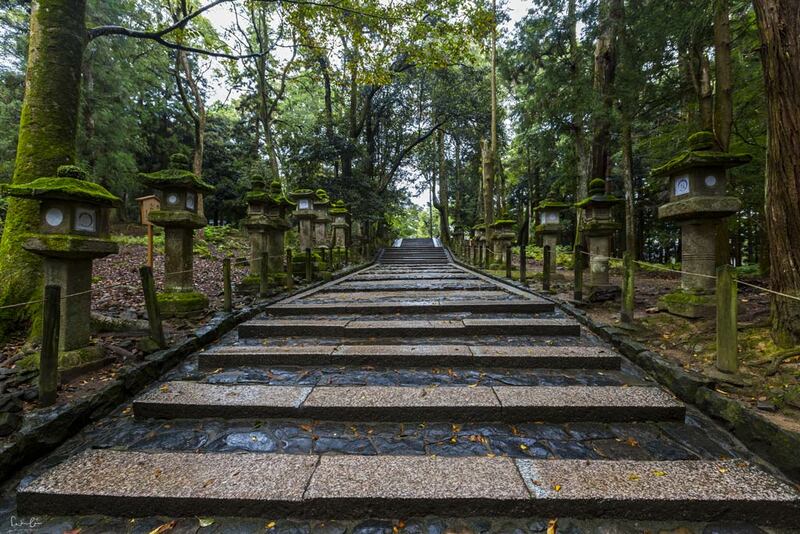 The long path to the shrine is lined with Toros, the stone lanterns, and leads through a wonderful landscape of woods. 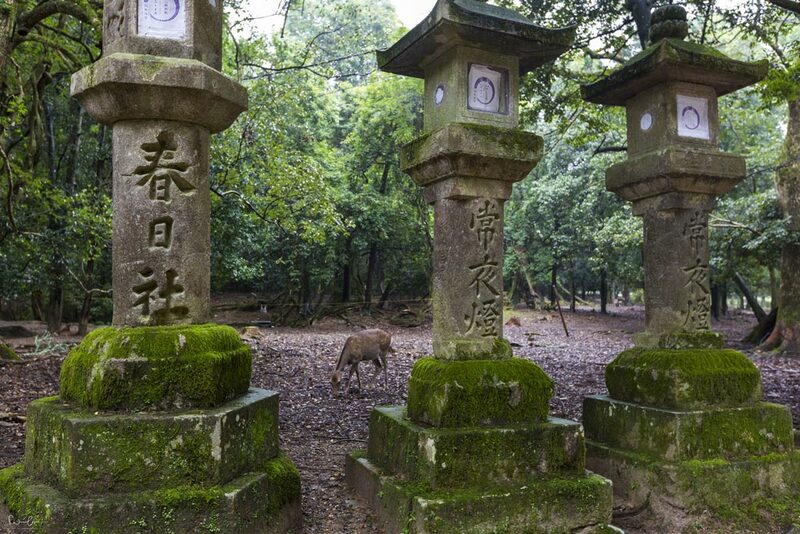 It is a unique atmosphere with the lanterns covered in moss, the deer and the tranquility. 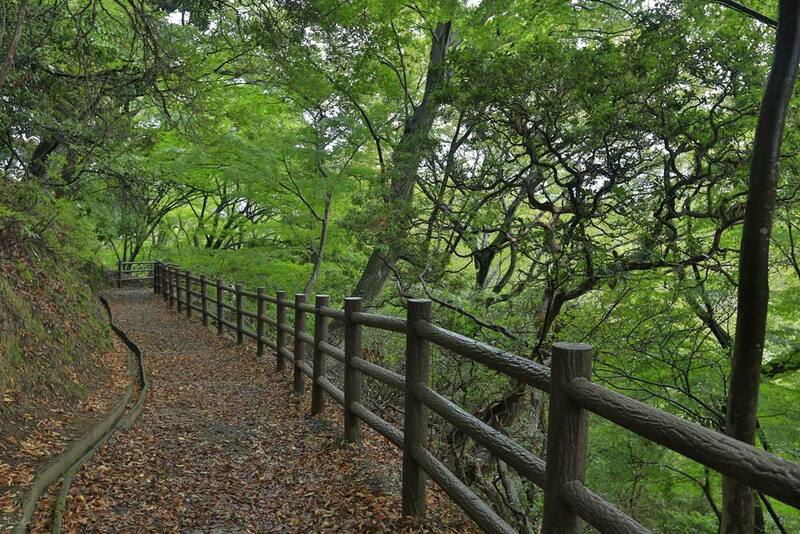 Immerse yourself in the woods of Nara and enjoy the spirit. 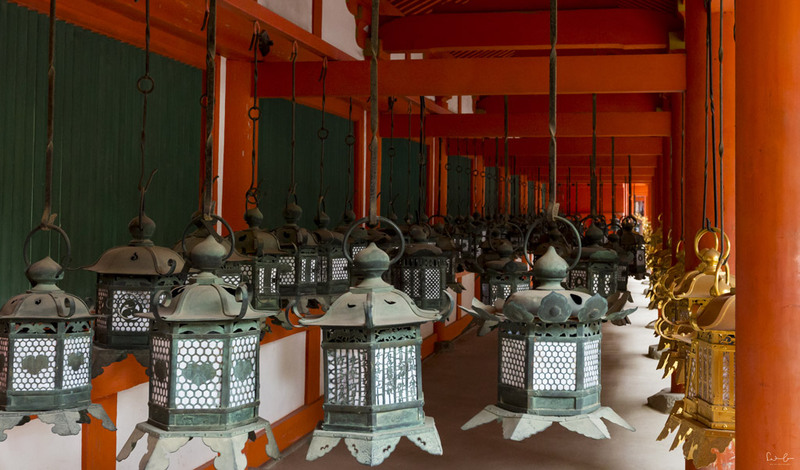 Kasuga-Taisha shrine is also famous for its hundreds of bronze lanterns hanging in lines from the buildings. These lanterns are only lit during the lantern festivals in February and in August. The main offering hall is free to enter, the inner area with more shrines has a 500 Yen admission fee. 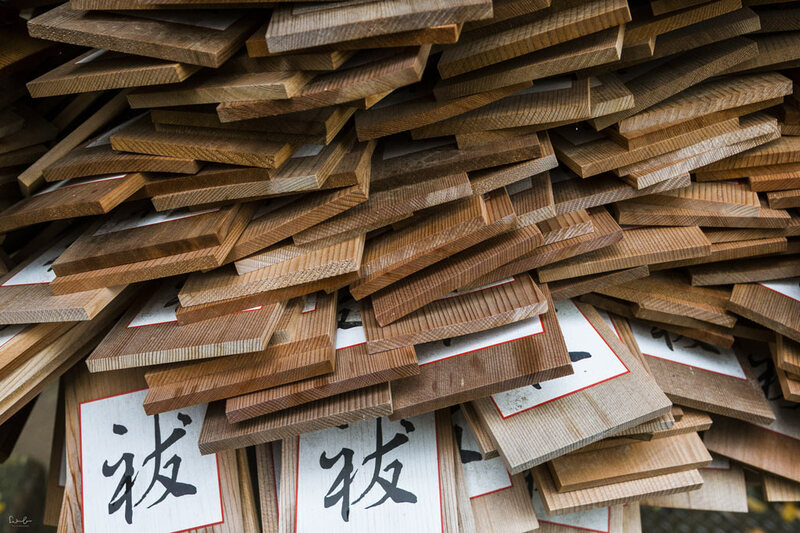 You can write your wish or prayer on a wooden plaque, called Ema and hang it up on the Kasuga-Taisha temple grounds. 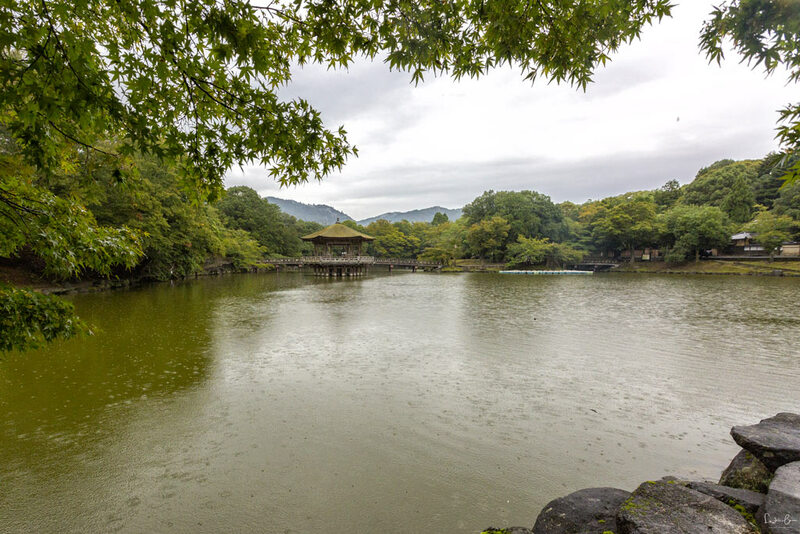 Right off the grounds of Kasuga, there is Sagi-ike Pond, a beautiful pond within the woods of Nara Park. Unfortunately, I faced really bad weather with heavy rain that day but I imagine it is a wonderful area to hang out and chill on a sunny day. The rain and winds would not want to stop on my day in Nara. Due to my wet clothes and the cold chilling my bones, I shortened my Nara sightseeing tour. I admit, however, the weather was quite a matching component to the mossy woods translating into a great photo scenery. Tip: wear layers! 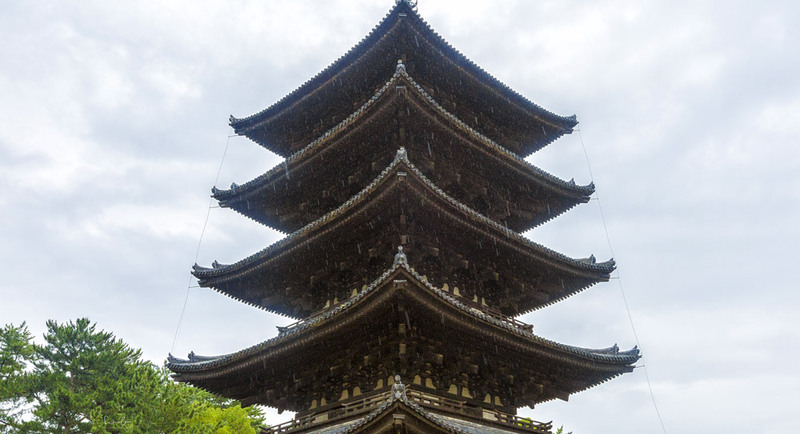 I hope you are luckier with the weather or more enduring than I was because Nara has some more great sites such as the symmetric Yakushiji Temple with its main hall and two pagodas on each side. Todaiji Temple is one of Japan’s most significant temples with its two 15 meters tall bronze Buddha statues and for sure worth a visit. 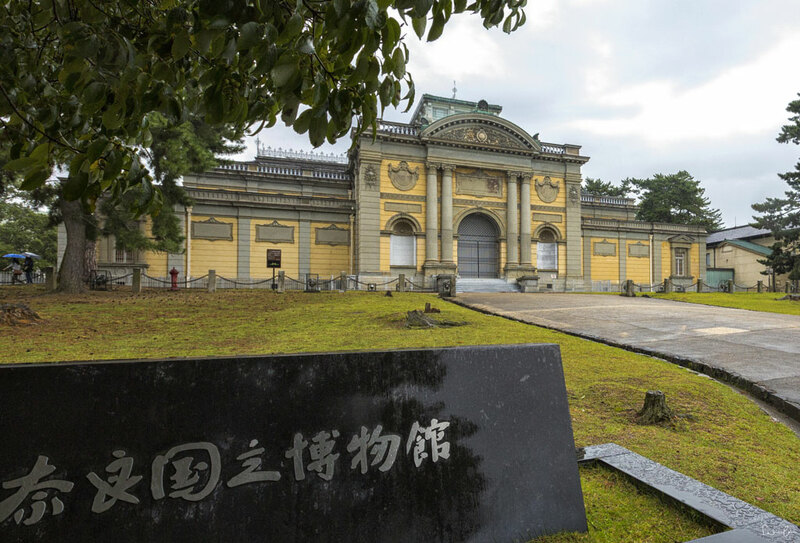 I also missed Heijo Palace Site, one of the UNESCO World Heritage Sites of Nara. The song is still one of my favorite songs and finally, I know the thing about the deer in Nara. If you like history, culture and love wandering through nature, then you should definitely include a Nara day trip in your Japan itinerary. How to get around in Nara? I explored Nara in one day by feet. The distance from Nara Station to Nara Park with its sites is a short walk through a lovely pedestrian zone with restaurants and cute shops on each side. Heijo Palace and Yakushiji Temple are not located within Nara Park but can be reached with one of the buses stopping all along the main roads in Nara. Get a bus map from the train station on your arrival in Nara. Do you need more inspiration for a day trip? You can do Hiroshima and Miyajima in one day from Kyoto. Here’s my emotional rollercoaster tour. Disclaimer: This article contains affiliate links which means I will earn a small commission if you purchase/book through my links. 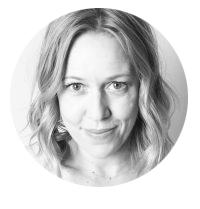 This is without extra costs for you but it helps me to keep this blog afloat. Thank you for your support.